I recently came across this Webhosting provider called Resellerclub with amazing offers and I can't wait but to ask how good is Resellerclub Web Hosting? What I saw is very tempting and might surely force you out of your current hosting provider though, I will be moving to that hosting soon to find out more but for the main time, we are going to discuss about their hosting plans, features, and price. However, after going through their platform I find it hard to believe what I saw that is why I decided to share with your guys and am not the only one seeing this irresistible offers from a domain, shared hosting to dedicated hosting. I am migrating to Resellerclub not only to find out more about their product and services but because I really need a Webhosting with more power and features at a reasonable price. If you are looking for the best-shared hosting, Wordpress hosting or cloud hosting with more power at an affordable price then you are good to go with Resellerclub. To make it clear we are going to check out their hosting plans and prices. As you can see above they have Personal, Business and Pro shared hosting plans with following features. With this hosting, you have all you want while paying lesser compared to other hosting providers including free SSL that helps you turn your website from HTTP to HTTPS. You will enjoy an amazing discount and can pay as low as $2.49 per month when you pay for 2-3 years hosting plans but still, you have an option to pay for 3 months to be sure they offer the kind of services you need before paying for more years. If you look above you will see what the price looks like and you will equally agree with me that they offer something good at an affordable price. If you own a WordPress powered website and need extra power that will give your audience best experience and as well help your website standout then consider this hosting packages designed for Wordpress websites. 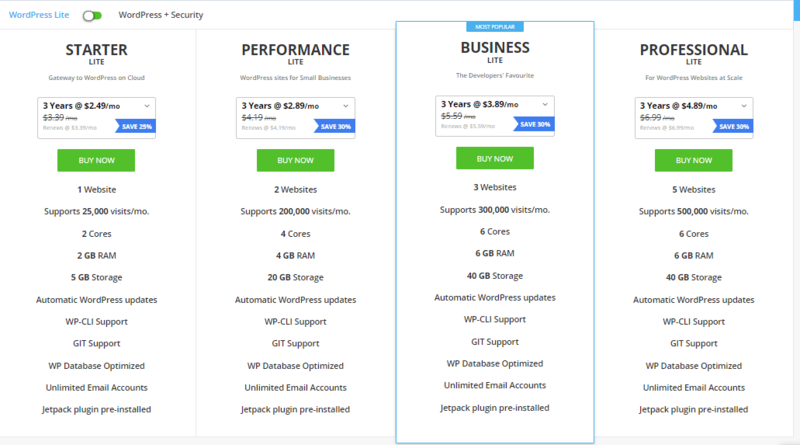 All of their Wordpress hosting plans come with the following features. * Supports from 25,000 visits per month to 500.000 visits per month. You can visit Resellerclub to find out why you need a Wordpress hosting. With cloud hosting you decide what you do and how you do it at your own convenient since you have all the power you need to power high traffic website. In other words, Cloud hosting is relatively the same with a virtual private server (VPS) and it gives you more scalability and resource to do more unlike shared hosting that shares the same resources with different websites. Choosing Resellerclub cloud hosting makes everything easier since you have more resources and control while paying less compared to other hosting providers. Their Cloud Hosting is classified into Personal, Business and Pro plan with the following features. 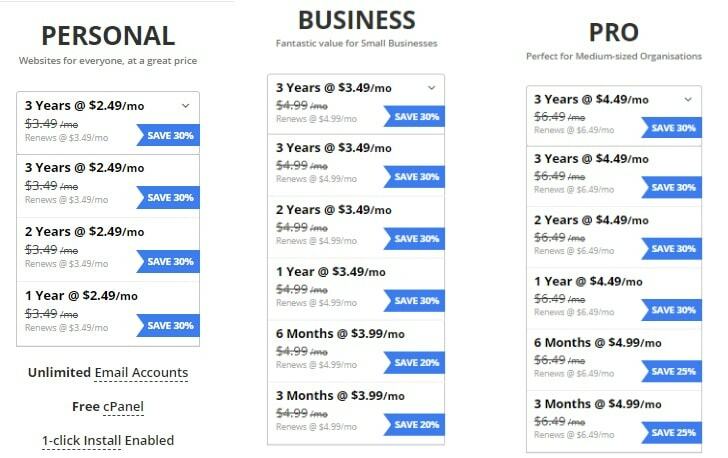 Resellerclub Cloud hosting prices ranges from $5.49 per month to $9.99 per month based on yearly subscriptions which are perfect for the available resources. Resellerclub still has other big hosting plans design for a website with more than 500,000 visitors per month. Their VPS hosting plan starts from $7.99 per month while offering a powerful well optimized dedicated server from $63 per month. You can check out their Dedicated hosting plan and prices here.